Every month, Michael N Jensen, chief executive officer of Carlsberg India, randomly selects an outlet anywhere across 140 cities, to spend a full day there. He observes and interacts with customers, outlet owners and staff. “Nothing can give you a better insight about what the beer drinkers actually want. "This leads to product innovations. “This is how we understood the need for strong beer, which we don’t sell in other parts of the world,” said Jensen who came to India in 2012 as the boss for Carlsberg India. 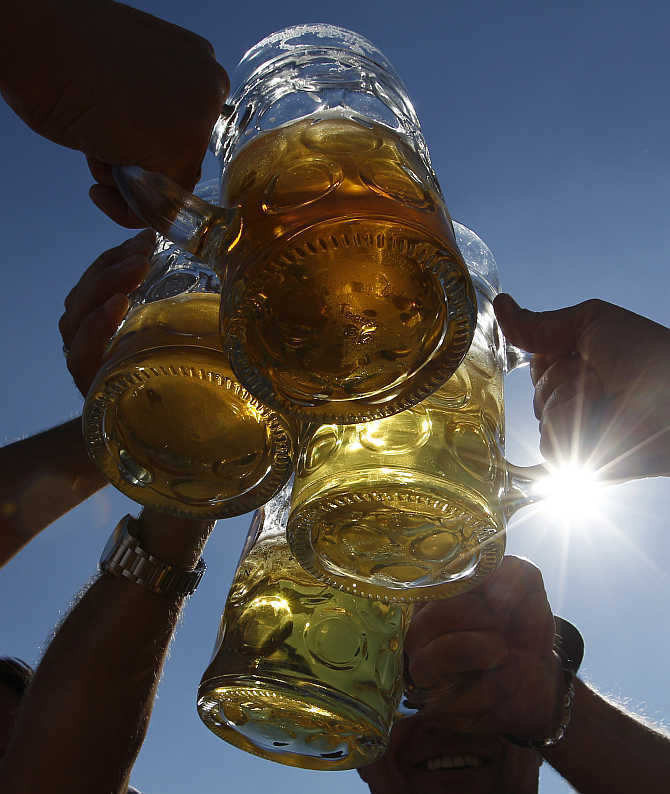 It took the Danish beer maker eight years to move among the top three beer companies in India. And, as Jensen said, it was the strong variant of Tuborg that helped Carlsberg to emerge as the No. 3 in India with 11 per cent market share (excluding Tamil Nadu) in 2014, after United Breweries and SABMiller. “Doing business is not easy anywhere, and India is no exception. “But, you can’t be in India and be global. One needs to be humble, understand the local culture, the needs of the local consumers to build a business in any country,” said Jensen, who had earlier worked in many European countries and across Asia-Pacific for Carlsberg and beverages major Coca-Cola. Under Jensen, Carlsberg in India grew substantially backed by a 42 per cent volume growth in 2014. “You can’t be everywhere; you can’t win everything. “So, we have decided to stay selective, focusing to reduce the gaps between us and the system. India is like a continent with many countries; every state here has its own nature, uniqueness and different consumer taste. “So, our brands needs to match all those for sustainable growth,” said Jensen. Given the dynamics of India’s beer market, which is 85 per cent strong of about 280 million cases in 2014, Carlsberg will continue to focus on strong beer. It might also bring in some of its global brands to India in future and localise them. At present, Tuborg strong is the fastest growing for the company, which sells Carlsberg Green, Carlsberg Elephant, and Tuborg Green. While the company has so far remained focused on north India, it is now moving to the part of the country. The company has seven breweries at the moment and it is planning to add more. “We need to have the supply chain placed in such a way that we are able to deliver products within a day to maintain quality,” added Jensen. On the other hand, Kingfisher Ultra Max, a strong variant of Kingfisher Ultra beer and the costliest in the Kingfisher line, is currently sold in parts of Mumbai, Pune, Thane, Raigarh and Haryana. At present, United Breweries sells about half of all the beer sold in India. Other premium strong beer brands include Carlsberg Elephant from Carlsberg India, Budweiser Magnum from AB InBev, and SABMiller’s Miller Ace. Then there are Heineken, Sabmiller and Haywards. United Breweries’ Kalyani Black Label remains popular in eastern India. Jensen, who claims he has become more Indian in the past three years, says consumer loyalty is an issue in India. For Carlsberg, India is a long-term market. “India is a very good promise. India is the future,” he noted. Jensen wants to stay here, for a longer term. When Carlsberg completes 10 years of operations in India, Jensen would like to sip his favourite beer, relaxing at a hill station in India.